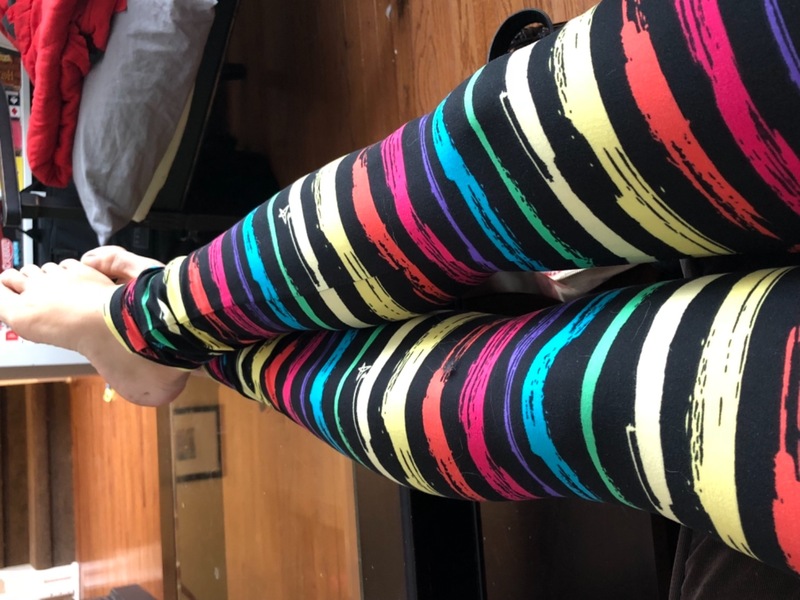 The world is a rainbow of possibilities when you rock Rainbow Road SweetLegs, part of our colourful 2018 collection! Stripes of red, orange, yellow, green, purple, and blue are painted on our signature Black Licorice SweetLegs for a fun pop of colour you can’t resist! Whether you’re feeling sporty or chic, the versatility of Rainbow Road SweetLegs will make them a new wardrobe favourite. We love pairing Rainbow Road with a plain white t-shirt, a black unbuttoned short sleeve dress shirt, and some colorful Chuck Taylors. Add a black canvas cross-body bag studded with band pins for a punk rock vibe. Giving four stars as I wish the material was a bit thicker as the white colour from the inside can be seen through the areas the leggings stretch tighter. However, delivery was very prompt. The colour is beautifully vibrant. They are extremely soft and comfortable. Have not had a chance to wear them yet but love the colours ! SweetLegs are my life ! Love the way they feel. Love the way they look ! The variety of prints is just awesome to ! Shipment arrived in time and as expected. I love the new wrapping with the thank you sticker !